出演：永井"ホトケ"隆 Vo. 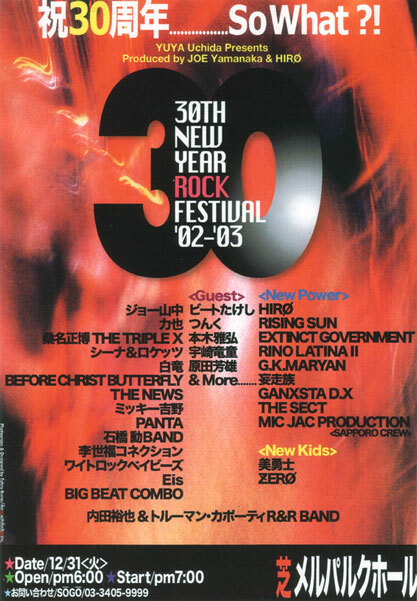 鮎川誠 G.&Vo. シーナ Vo. 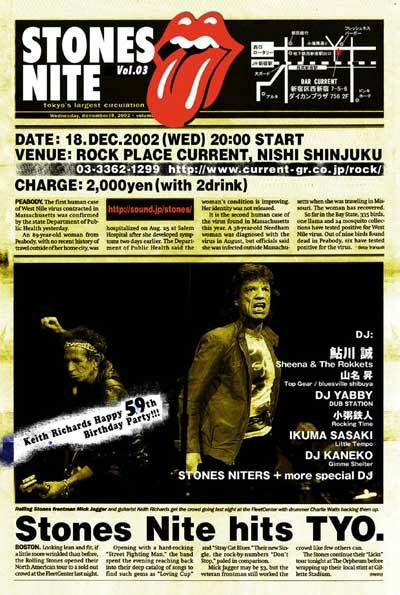 STONES NITE Vol.03 - Keith Richards Happy 59th Birthday Party!!! 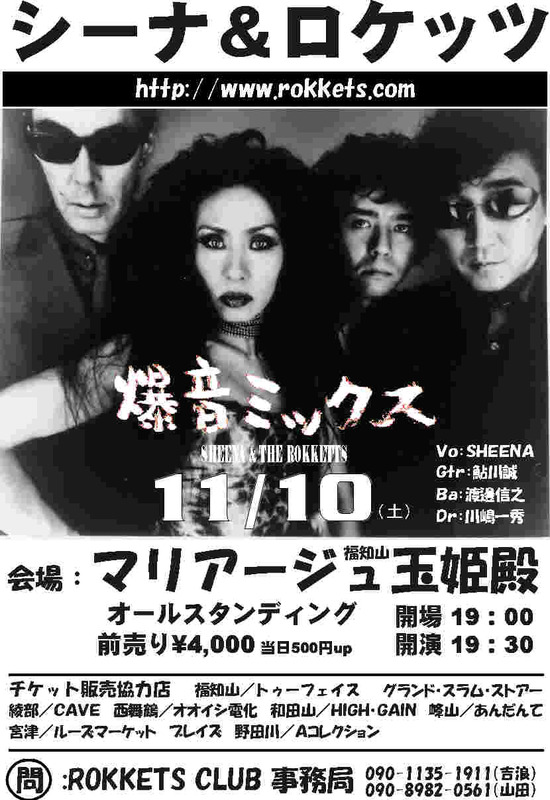 12/8 (sun) Sheena & The Rokkets @ "Oyaji-Battle 2002"
with flyer 500yen off ! SEXYスタイル or 編みタイツでご来場の女性、更に500yen off ! 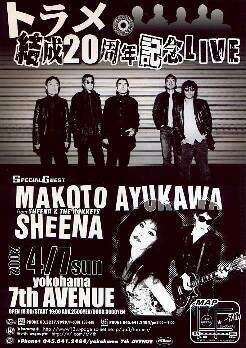 Sheena & The Rokkets@Dee Dee RAMONE 追悼GIG"Wart Hog FOREVER"
Thank you, Dee Dee, you're very wonderful. 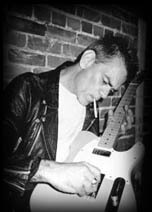 Dee Dee Ramone (09/18/1952 - 06/05/2002) R.I.P. 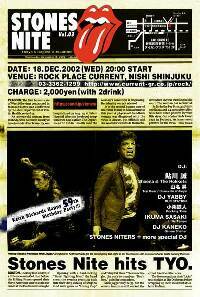 チケットぴあ、The DOORS店頭にて Now On Sale !! ローソンチケット(Lコード38973) Now On Sale !! 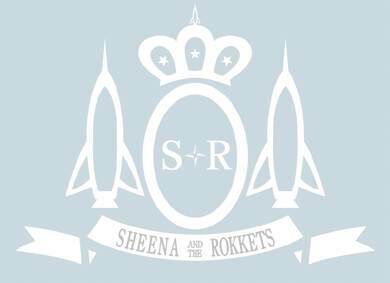 12/7 (fri) Sheena & The Rokkets @ Love You Stones! シーナ＆ロケッツ ＠SPACE DRIVE 1st Anniversary"
Sheena & The Rokkets＠Home Town 北九州市 "Rock'in EXPO 2001"
チケットCLUB 251 店頭にてNow On Sale !! Joey Ramone Forever /ジョーイ・ラモーン・フォーエバー. R.I.P.